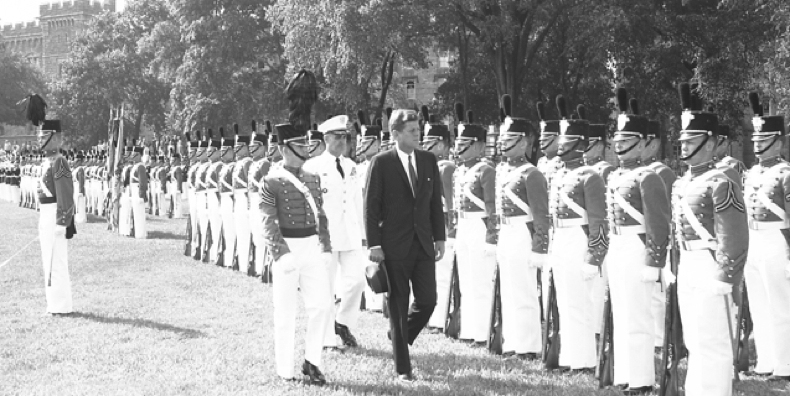 These are some of the remarks that JFK made in 1962 to the graduating class at West Point. The context was the fight against communism that was raging in Asia. I found this quote in the book “Legend” by Eric Blehm, which tells the story of Roy Benavidez, winner of the Congressional Medal of Honor. JFK’s words were written in the front of the training manual for the Green Berets. He points to the fact that America was facing a different kind of war. One with different opponents, different objectives, and different requirements. His remarks were true enough then and he may not have known how much they would describe the evolution of war against extremist forces in the next 50 years. Source: John F. Kennedy: Remarks at West Point to the Graduating Class of the U.S. Military Academy.